Are you searching for the best snorkeling destination in Kovalam, Kerala? Have a look at this article. It will help you to find the best. Kerala is one of the best tourist destinations in India that is visited by thousands of tourists all around the year. The tropical climate, backwaters and the heritage of the region are so inviting and appealing that some tourists even visit twice or thrice and some have found their best relaxation retreat. The warm tropical waters have led to the flourishing of corals and other flora and fauna which makes the state one of the best places for Snorkeling in India. Snorkeling in Kovalam is one of the most favorite and most done tourist activities and offers once in a lifetime experience. If you are planning to visit the state then the following post will comprise all the details that will help you enjoy snorkeling in the best possible manner. Snorkeling in Kovalam – What, How and Where? Snorkeling is one of those activities that allow people to have a magnificent view of the underwater life. There are different kinds of snorkeling equipment. Some come with fins, snorkelers' sump valve and lots of other attachments depending upon the expertise of the person with water sports and requirements at the individual level. The guide diver will help you put on the snorkeling gear and give you training regarding communication underwater and other things that should be remembered while snorkeling. Then, you will be taken underwater which will offer you the scenic splendor you will never ever be able to take your eyes off. Kovalam offers the best Snorkeling in Kerala and is one of the most popular tourist destinations. To make the most of all of your water sports, you should choose Bond Safari. Bond Safari offers a lot of rides, water sports, Scuba diving, swimming and the very famous, unique and the most loved activity – underwater ride on a scooter which allows you to do scuba on a scooter. Bond Safari offers the best Snorkeling in Kovalam and all over Kerala. 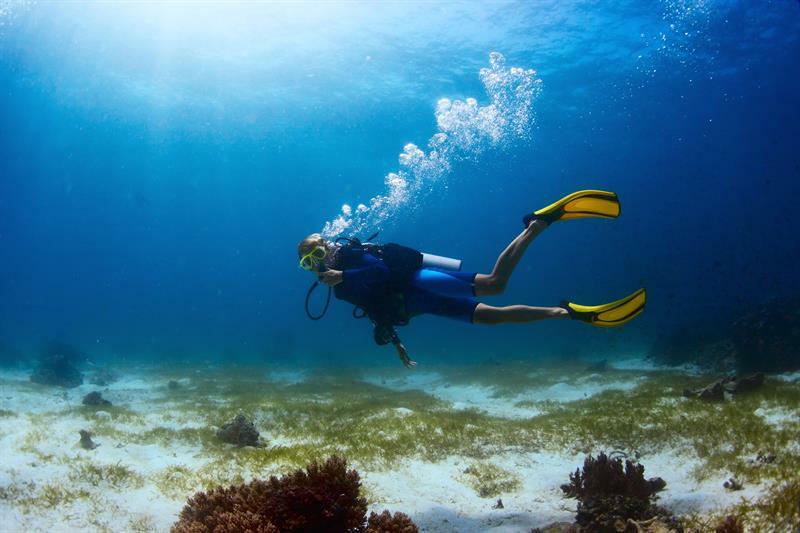 The divers and swimmers are trained and qualified as per the international standards and have a highly professional knowledge regarding the corals, flora, and fauna of the marine life. Snorkeling in Kerala – What does it offer? The snorkeling is the best water sport for people who are afraid of deep waters and strong currents. The corals in Kovalam are in shallow waters and one can see the beautiful marine life via snorkeling as well. The float belt is also available in case you are afraid of water. Swimming is not required to do snorkeling and you can witness the underwater beauty without having to swim. Bond Safari provides the best and the most varied kits for Snorkeling in Kovalam that come with masks as well. The masks will not let the water come in and you can breathe easily and securely. Snorkeling allows you to enjoy the marine tour even with your glasses and contact lenses on. Snorkeling will be done best when you don't panic and accept the simple fact that every day thousands of people do this activity and not even a single one faces any tragedy. The expert diver with you will be on guard all the time and will never ever let anything happen. The marine life such as fishes, corals, and other creatures are meant to be seen and not touched or damaged. Don't try to stand on the coral rocks as they get damaged as well as can lead to injuries. To have an experience of a lifetime, choose Bond Safari Kovalam for Snorkeling in Kovalam and for other water sports. To know more log on to www.bondsafarikovalam.com. Snorkeling is one of the most interesting activity under water.